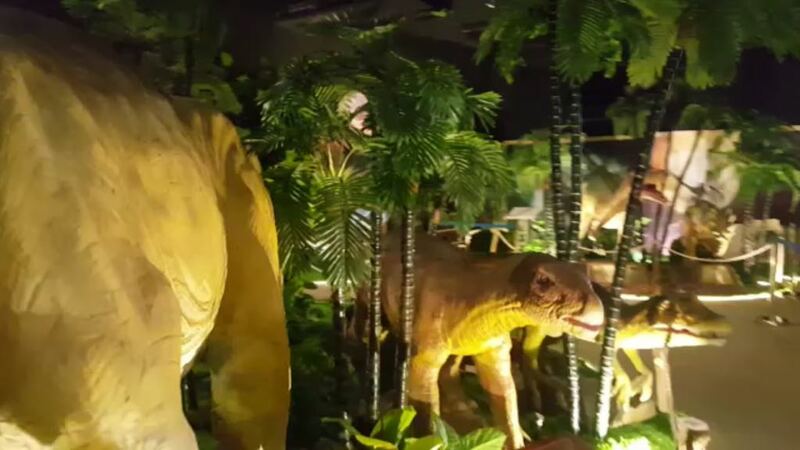 KARACHI: The first dinosaur theme park of Pakistan has been opened for public in Karachi’s posh area of Clifton on Sunday. 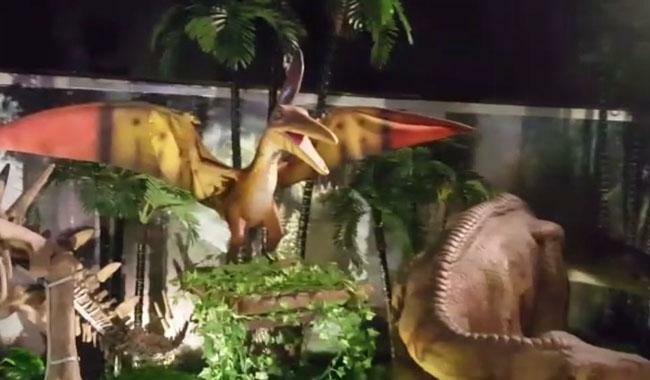 The unique feature of the park is that the giant-sized artificial animals – dinosaurs – are being shown moving around in the area. Women and children visiting the Park become scared when they see dinosaurs yelling, roaring and screaming around them. The whole atmosphere of the park is full of adventure and provides the best entertainment to children. The height of the dinosaurs in the park is about 20 meters and the most significant thing is that children can ride them easily. People on Sunday witnessed a unique experience of an atmosphere of panic and terror with colourful lighting and horrifying background music. Looks like they won't allow cameras in the park. Not a single picture in this news item?